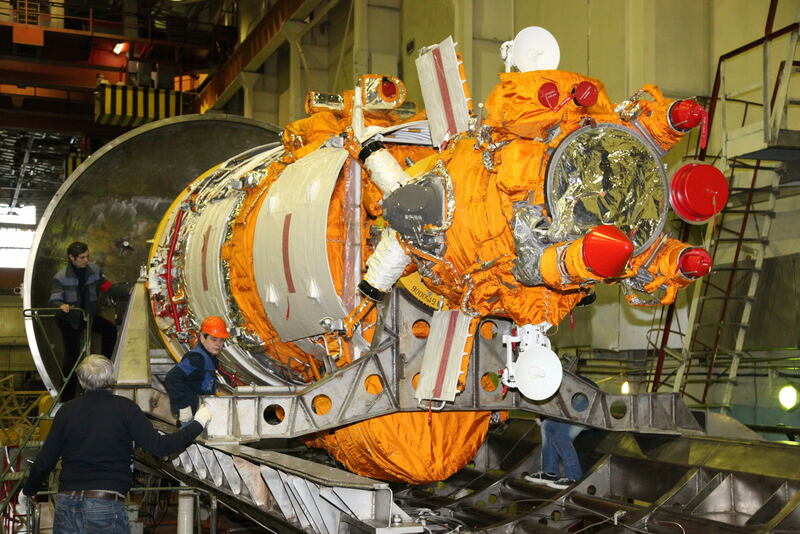 At Baikonur, the Soyuz-2.1B carrier rocket with the Russian Resurs-P2 remote sensing satellite is being prepared for launch by launching teams of the Rocket & Space Industry. The pre-launch processing is in complete compliance with the schedule. 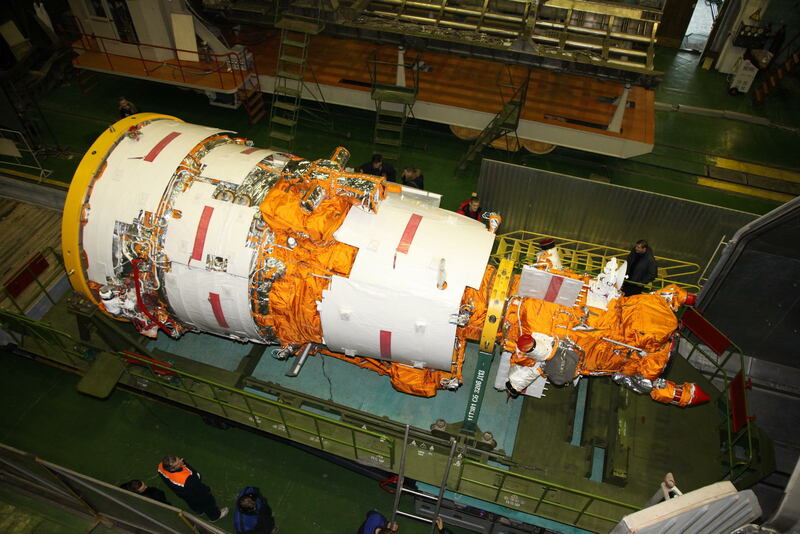 The day before, Resurs-P2 was transported from Assembly & Test Building, Pad 112 to Assembly & Test Building, Pad 2B to undergo the air-tightness testing for three days by experts from the Progress State Research and Production Rocket Space Center. On Monday, the satellite is scheduled to be delivered to the fuelling station to fill the tanks with propellants and compressed gases. 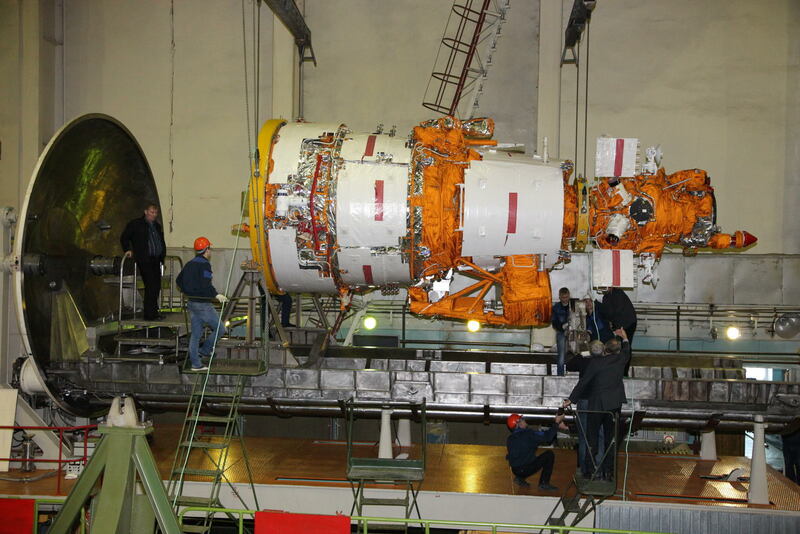 The Soyuz-2.1B carrier rocket is being prepared in Assembly & Test Building, Pad 31 where the pneumo vacuum testing of the first stage tanks is being carried out by the expert teams. 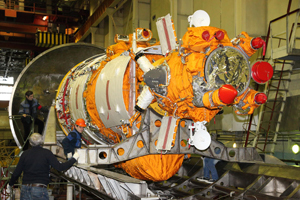 Resurs-P2 launch is scheduled for 26 December 2014. 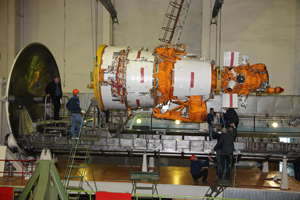 Resurs-P2 was delivered to Baikonur on 17 November 2014. The Resurs-P2 carries the equipment providing a very high resolution imagery of the earth’s surface in panchromatic and five narrow spectral bands with the resolution on ground of 1.0 and 3.0-4.0 respectively and with 38km swath width; a wide-swath imagery with the swath width of 97 and 441km and resolution of 12.0 and 60.0m in PAN bands; hyperspectral imagery in 96 spectral bands with the resolution of 25-30m. Moreover, Resurs-P2 is equipped with the Automatic Identification System (AIS) designed for tracking vessels and NUCLON scientific instrument. On 25 June 2013 at 09:28 p.m. Moscow Time, Soyuz-2.1B/Resurs-P1 were launched from Baikonur’s Pad 31. On 1 October 2013, based on the in-flight testing results obtained, the decision on the RESURS-P space system/RESURS-P1 satellite compliance with the performance specification requirements and the possibility of the system putting into normal operation was made. The Resurs-P1 imagery data is used now to support a wide range of economic, social, and scientific problems to the benefit of ministries and departments, and federal and regional authorities of Russia. Resurs-P3 is scheduled for launch in the fourth quarter 2015 within the framework of the Federal Space Program of Russia.